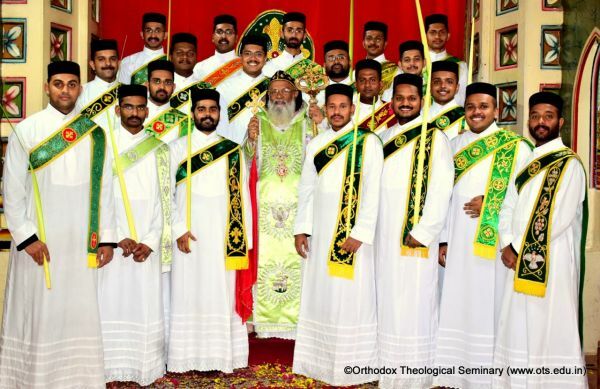 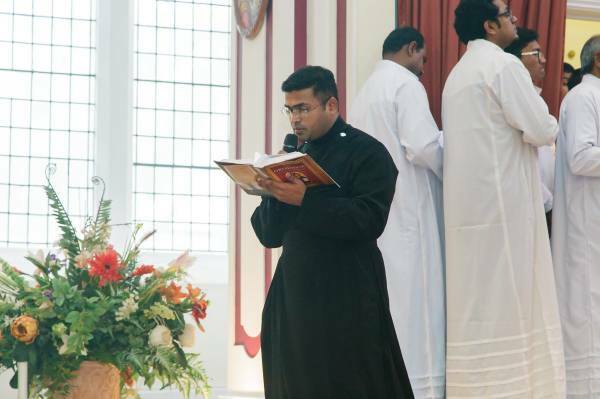 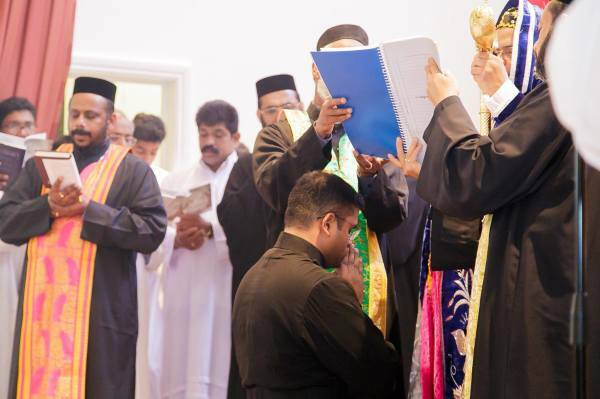 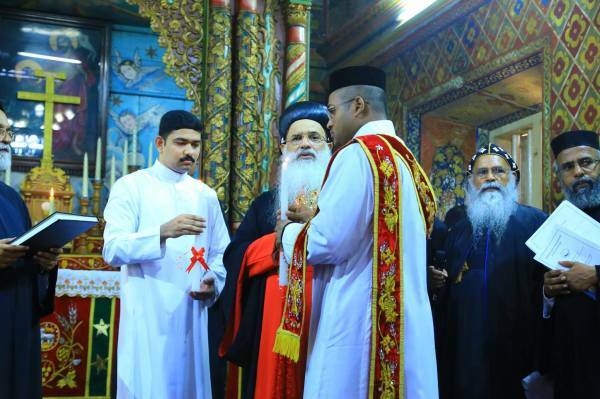 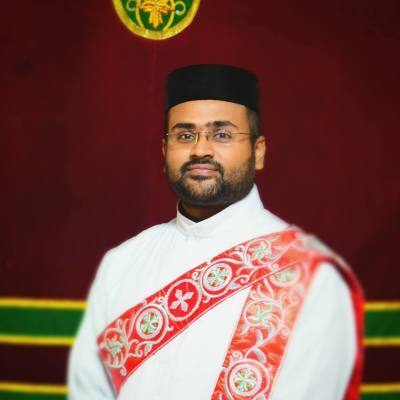 Joshua (Calvin) Poovathur, a member of the Belfast St. Gregorios Indian Orthodox Church was ordained as Yaupadiakno (Sub-Deacon) on Sunday May 7th 2017. the Diocese of UK-Europe and Africa. 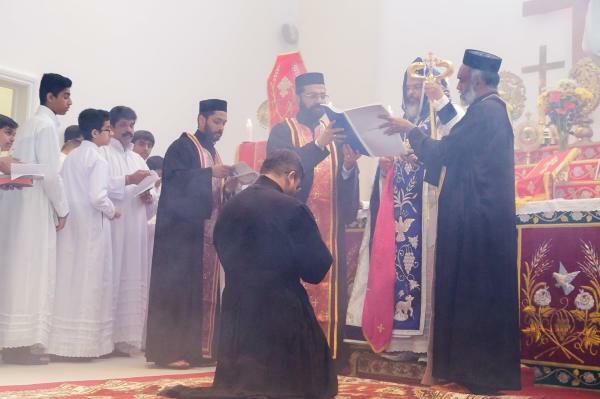 The service of Holy Ordination was conducted by Diocesan Metropolitan HG Dr. Mathews Mar Thimothios at the St. Gregorios Orthodox Church in London (Brockley). 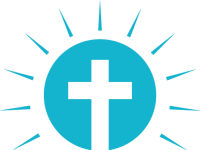 Dn. 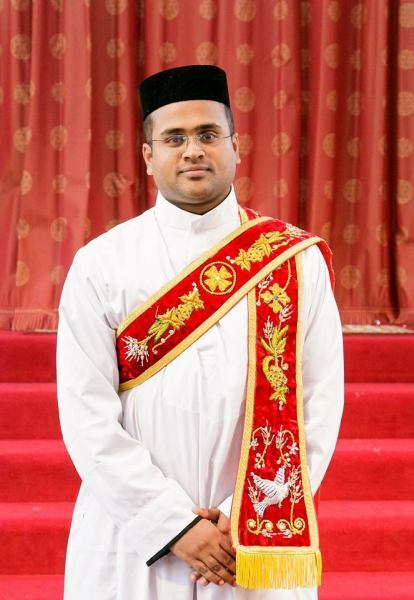 Joshua is the eldest son of Mrs. Lini and Mr. Jaison Poovathur. 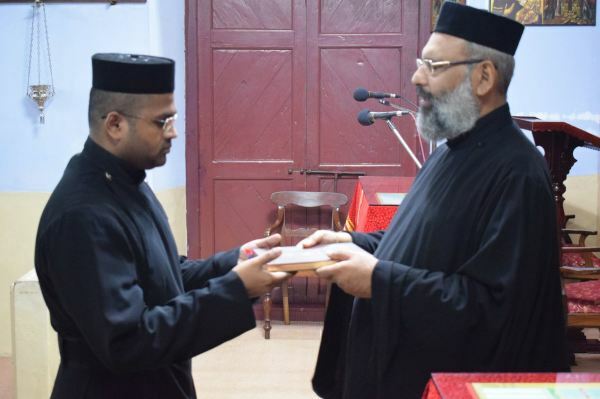 He is a theological student at the Orthodox Theological Seminary (Pazhaya Seminary) at Kottayam. 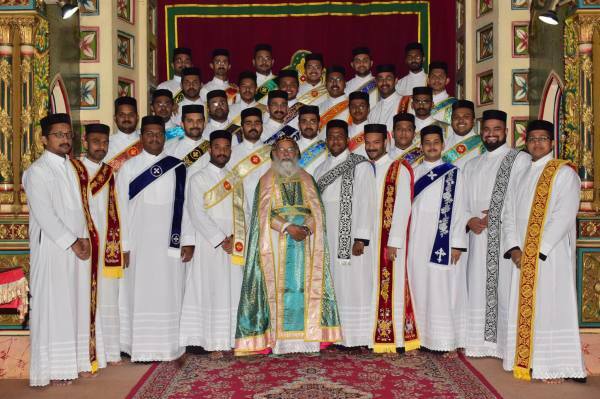 This is the first ordination of the sort being held within the Diocese of UK-Europe and Africa.